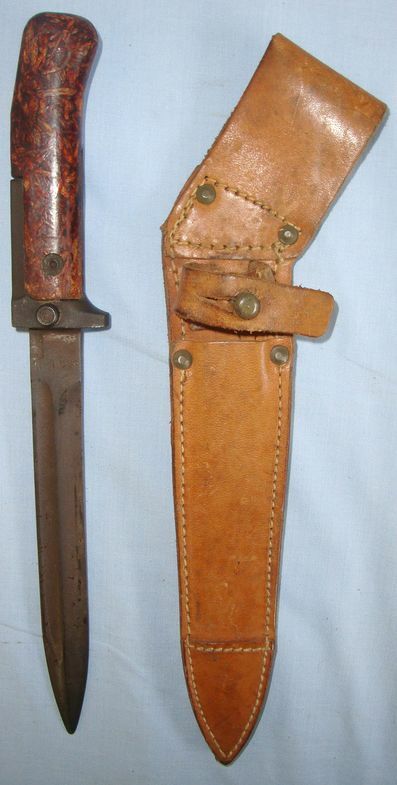 This is a rare, original, Hungarian M1935 Mannlicher Rifle Bayonet, Scabbard & Leather Frog. The bayonet has a 13 1/2" spear point blade with large medial ridge. The blade has staining consistent with age but no rust. The bayonet measures 19" overall and has thich cross guard with sprung knurled lever and muzzle ring with sighting blade. 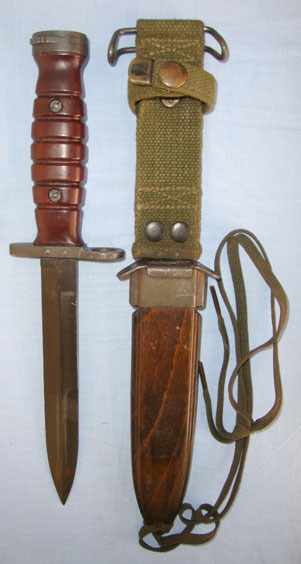 The cross guard is stamped with the Hungarian crest and 'B-6216'. It has a large rounded steel pommel with flat top and is complete with it's original black painted steel scabbard & brown leather frog with single belt loop. The scabbard has no dents and all leather and stitching of the frog are intact. Price for this rare item includes UK delivery. ED 2280.